Ben Steele and Lucas Wiseman. Â Â Â Â Â Â Â Â Â Â Â This document will explain the process behind creating each type of media, the uses and affordances of the media, and recommendations for future use. Â Â Â Â Â Â Â Â Â Â Â CRESA already has excellence presence on social media platforms and makes good use of both Twitter and Facebook to disseminate information to the citizens of Clark County at large. Taking that into account, we created a series of different media objects to take advantage of that already established viewer base, as well as to grow CRESA's presence online. We created Buzzfeed quizzes and Twitter templates in particular to generate engagement on Facebook and Twitter from Clark County residents. Â Â Â Â Â Â Â Â Â Â Â Buzzfeed quizzes work in tandem with Facebook and can be shared or distributed through that particular social media networking sites. The Buzzfeed quizzes are entertaining but seek also to inform and provide information to the person taking the quiz, with topics ranging from natural disasters, to what items are needed to survive several days without power or running water. Â Â Â Â Â Â Â Â Â Â Â The quizzes ought to be shared both on Facebook and Twitter to promote their use, and from there an organic sharing of people who view them and take the quizzes will occur. That being said, a Buzzfeed quiz is very much a â€œone and doneâ€� type of deal. People generally do not take the quizzes more than once, and after they share the quiz online it leaves their sphere of conscious thought. That means that, once a quiz has been posted, it has a shelf life of two or three weeks before it becomes â€œstale.â€� With that in mind, it is fruitful to create additional quizzes after the ones provided in this package have been taken, to promote fresh growth. Â Â Â Â Â Â Â Â Â Â Â Several topic ideas might include â€œWhat disaster will your area experience next,â€� â€œHow likely are you to survive a natural disaster,â€� or â€œHow prepared are you for the apocalypse.â€� These are all general ideas and meant to act as a springboard for more quizzes. Below are instructions to create your own Buzzfeed quiz. 1.Log into buzzfeed.com using the login provided for you. 2. Choose one the type of quizzes to create. Add your result title in the â€œResult Titleâ€� field, and the result text in the â€œResult Textâ€� window. You have the option of uploading an image with each result, and should definitely do that so long as youâ€™re using appropriately sourced images. Once youâ€™ve added one result, you can keep adding more with the â€œAdd Another Resultâ€� button until youâ€™ve put them all in. The next thing you need to do is click â€œQuestionsâ€� so you can put questions together. You cannot set up the questions without putting your results in first. You can upload your question image with the â€œUpload Imageâ€� button under â€œQuestion Title.â€� If youâ€™re making your quiz with all images, you can ignore the text boxes in this section. Next you upload your answers just as you did with your question image, and for each answer, assign it to the appropriate personality with the drop-down menu marked â€œPersonality.â€� After youâ€™ve added an answer, you can click â€œAdd Answerâ€� and repeat this process until all the answers are in. As you are creating your quiz you will want to save throughout. Once you believe you completed your quiz, you can preview the quiz to make sure every aspect is set to your liking. Once your quiz is just the way you want it, you can click â€œPublishâ€� and share it on your social media platforms. Each quiz will be saved in your feed and can be reposted at your liking. 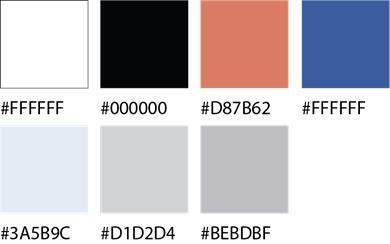 Image 1: Hex codes of colors that are used for the infographics. Â Â Â Â Â Â Â Â Â The infographics were made to share information in a fun visual way. They may be used as social media posts, blog posts, or any way you see fit. We have formatted two variations of each infographic for print and for web. The print versions have the title followed by the word print. (Ex. â€œtitlePRINTâ€�) Printing these versions will guarantee the best printing resolution along with proper margins to fit on a single letter page. Â Â Â Â Â Â Â Â Â The twitter templates are formatted for web only. Their purpose is to add a visual to Twitter and Facebook posts. Templates were designed to add a short amount of text over them to bring awareness to current events that may be talked about in Clark County. Short lists, or hashtags are great ideas to add to these templates that will compliment the rest of the post. To add text open your image editing program (Ex. Adobe Photoshop). If access to Photoshop is not available, GIMP is a free image editing program that can be downloaded. In any image editor, select the text tool, in most programs this is a button with a letter on it, in Adobe products it is a large â€œTâ€� (shown below) and in GIMP a large â€œAâ€� (below). Click where you would like the first line of text to start, from here you should be able to type in whatever you would like on the image. Once your text is on the image, move or resize the text to your liking. Some programs require you to use a move tool to move a text box, this tool is normally a plus sign with arrows on each side (Adobe's version shown below), or an image very similar to the one described (GIMP's is below). A text box can normally be resized by pulling on the corners of the box. It is not suggested to pull the sides or top of the text box, as this can stretch or squash the text. Helpful Tool: Instead of pressing save choose to â€œSave Asâ€� or â€œSave As a Copyâ€�, as â€œSavingâ€� will overwrite the image, it is a good idea to keep a master copy that does not have text for reuse. Â Â Â Â Â Â Â Â Â Â Â Our team worked closely with Clark Regional Emergency Services Agency (CRESA) to create a series of videos that could inform the public about Emergency Management and about CRESA as a whole. Emergency Coordinator Eric Frank made clear that he wanted the people of Clark County to know that CRESA does more than just take 911 calls. To encapsulate all these aspects of CRESA we created two videos. The first video was meant to show CRESAâ€™s role in emergency management as well as the publicâ€™s role in emergency preparedness. The second video focuses entirely on dispatch and the some of the common problems and technical misconceptions the public might have about 911 operations. Â Â Â Â Â Â Â Â Â Â Â The videos serve as promotional and informational materials. 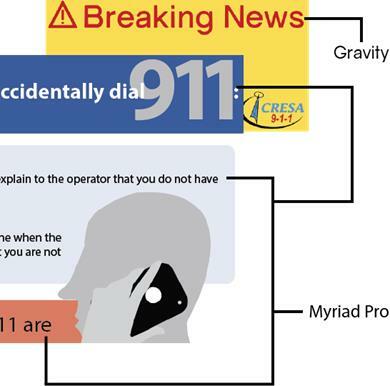 The video about CRESA's role in emergency management is visually engaging and is designed to spread information about CRESA throughout the county, while the dispatch video focuses on the very real possibility of a 911 call and the way CRESA handles it. The videos can be spread on social media platforms, CRESA's website, and even shown at training or educational events that CRESA participates in. 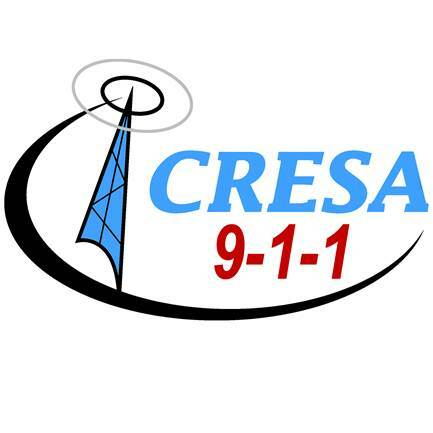 Overall the videos serve to engage viewers throughout the county and inform them of CRESA's role in their daily lives in the event of a 911 call or a natural disaster. Â Â Â Â Â Â Â Â Â Â Â The videos can and should be distributed as reminders once every few months. They have a much longer shelf life than the Buzzfeed quizzes and can be reused for as long as they remain relevant. The videos should be posted to the CRESA YouTube channel and maintained there. Â Â Â Â Â Â Â Â Â Â Â The coder of our group created a website (dtc-wsuv.org/projects/cresa/cresa_gig), that can be used by CRESA employees and other WSU Vancouver students as a hosting page for all of the documents and media forms that were created for this project. To facilitate ease of use, we decided upon a more traditional left-side list menu. There are three sections, Process, Products and People. The process section contains planning materials which were the Comparative Analysis and Proposal. The products section contains links to the pages that had our social media items, videos, articles, and infographics. Lastly, the people section contains a quick biography of each of our team members along with a profile picture and contact information. Â Â Â Â Â Â Â Â Â Â Â In addition, all of the content we created will be provided to CRESA on a USB drive for ease of access. Â Â Â Â Â Â Â Â Â Â Â The articles made for CRESA range from short one page explanations of Emergency Services to longer articles discussing how to prepare for a disaster, or how CRESA would respond in the event of an emergency. The articles can be distributed via web or in print, so they offer multiple possible uses and venues. The articles also have a relatively long shelf life, and can be shared multiple times as long as their information stays relevant. That being said, it would be wise to create more content to share on social media platforms after these articles have been â€œconsumedâ€� once or twice. Articles in list form are generally more likely to be read on social media sites due to their linear nature with a goal at the end. Â Â Â Â Â Â Â Â Â Â Â List articles are also a great way to spread information about CRESA, and should be taken advantage of if possible. They can be lighthearted and brief, or cover more serious topics equally well. Suggested articles include a piece about places to take shelter during emergencies, a profile story on one of the emergency responders CRESA works with and, a feature describing an event start to finish and explaining how CRESA reacted to it, and so on. The articles serve to promote information and create engagement with the public. If at all possible, the articles should link to one another so someone reading one article would be able to immediately jump to another one with a single click. The articles have been provided in PDF format along with inserted into CRESAâ€™s Buzzfeed account. As buzzed articles they can be shared on social networking platforms. The PDFâ€™s are useful as digital or print documents.